A wolf and raven swap stories while they await a raiding party to descend upon Barbarian Lord's farm. 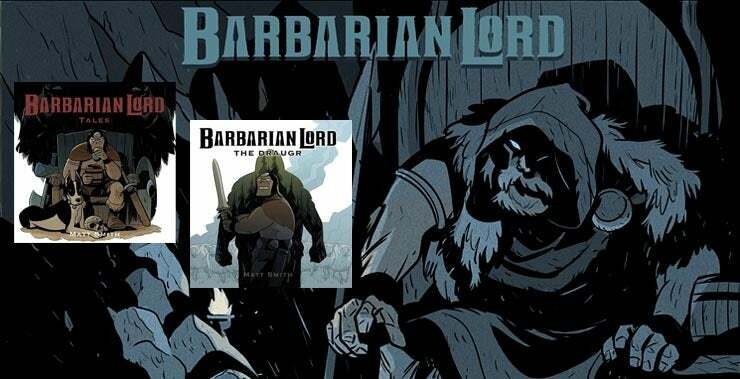 A 36 page reworking of the 2011 book, Barbarian Lord: Tales. This edition, completely redrawn, expands on the first version, adding in a new story along with guest art by savage pen-wielders, Dan Brereton, Scott Magoon and Mark Masztal. Will come signed, possibly with a hastily scrawled skull or cryptic message, and with one of two possible 8x8 prints!